Carton labeling machine is used in applying labels on the cartons in various industries such as food, daily chemical, stickers and phone box among many others. The machine is equipped with special speed control; adopt mature technology PLC control systems, touch screen controller that operate system efficient and simple. The machine operates at high speed and greatly improves the production input as well as efficiency in the operations. When the products are displayed on the shelves the first thing that attracts the attention of many potential buyers is label on the product. They intend to pick the products that label good, attractive, catchy and clear. Using label applicator in packaging industries add aesthetics value, hygiene, protect product from damage, long shelf life and validity the originality of the packed product in the market. Using label applicator has exceptional benefits that the packing industries can use to enhance profit maximization and increases production. Wine bottle labeling machine enhances efficiency in the packaging industries leading to increase in the production as well as making work easier. It extends the wine bottle shelf life and improving the aesthetics value of the packed products as it enhances quality and standard are meant. They are very attractive hence help in grapping the attention of the prospective customers to purchase the product in the market. They enhance the appearances of the products in the market. They are various types of labeling machine that are used for different industrial applications which includes: semi automatic labeling machine, label applicator machine, vial sticker labeling machine, vial labeling machine, fully automatic labeling machine, box labeling machine, carton labeling machine and hologram sticker labeling machine among many others. Security label applicators are affordable for low and medium beverages packing applications, increases production due to its efficiency and high speed, minimizes defects and waste in the packaging industries, easier to audit on the work done by the workers per day, flexibility to change to complies with the requirements, minimal wear and tear and very easy to trace and track. These security label cleverly removed does not tear the surface. 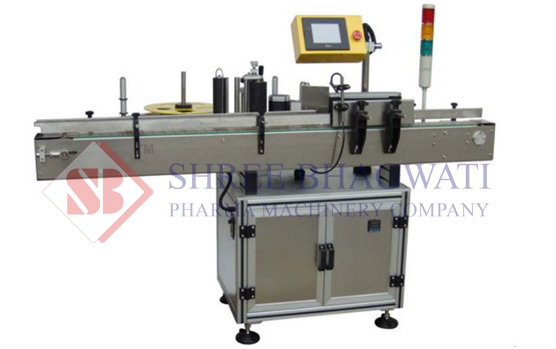 Industries such as the pharmacaetical, cosmetics, food and beverages uses jar labeling machine in labeling front side, back side and bottom as well as top. They are very useful in conveying the most important information about the product quality, quantity, price, manufacturing date as well as expiry date. They are hygienic, eye catching and add the aesthetic value to the products hence increase their demand in market resulting to increase in the return. How Tamper Evident Labels are Applied and their Advantages? Tamper evident labels are effectively used in areas where high value items and document are on the transits or stored without supervision. They are applied commonly in mobile phone packing, software, cosmetics, clothing among many others. Major advantage of the tamper evident label is the simplicity, security, can be cut to any required sizes and shapes, durable and flexible. When they are removed on the surface doesn’t leave a trace but shows clearly n evidence of the tampering. High quality designed labeling machines that are available in market includes: semi automatic labeling machine, label applicator machine, vial sticker labeling machine, vial labeling machine, fully automatic labeling machine, box labeling machine, carton labeling machine and hologram sticker labeling machine. These machine are durable, flexible, accurate, makes work easier and efficient in their operation that has resulted to increase in production and capitalization on the profit.